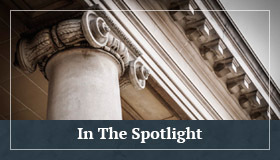 RISKY BUSINESS: Landowner Immunity Applies When Independent Contractors Are Injured Conducting the Very Work They Were Hired to Perform | Golden Rothschild Spagnola Lundell Boylan Garubo & Bell P.C. By: Rey O. Villanueva, Esq. and Francesca E. Cheli, Esq. In a recent unpublished decision, Pisieczko v. Children’s Hosp. of Phila., A-5538-14T1 (App. Div. Jan. 6, 2017), the Appellate Division affirmed the decision of the Law Division, Camden County, and held that a landowner, the Children’s Hospital of Philadelphia (“CHOP”), was not liable for injuries sustained by a Plaintiff independent contractor due to a hazard he created while doing the work he was hired to perform. The Appellate Division’s ruling in Pisieczko represents another arrow in the quiver of landowner defendants seeking to defend against lawsuits brought by independent contractors who become injured while performing work incident to his/her employment. In general, a landowner “is not responsible for harm which occurs to an employee as a result of the very work which the employee was hired to perform.” Kane v. Hartz Mountain Indus., Inc., 278 N.J. Super. 129, 10 (App. Div. 1994) aff’d 143 N.J. 141 (1986). With respect to a landowner’s duty to an independent contractor, in Mavrikidis v. Petullo, 153 N.J. 117 (1998), our Supreme Court reaffirmed “`the long settled doctrine that ordinarily where a person engages a contractor, who conducts an independent business by means of his own employees, to do work not in itself a nuisance . . . he is not liable for the negligent acts of the contractor in the performance of the contract.’” Id. at 131 (quoting Majestic Realty Associates, Inc. v. Toti Contracting Co., 30 N.J. 425, 430-31 (1959)). Under this doctrine, ordinarily “the party contracting out the work, be it a landowner or a general contractor, `is not liable for injuries to employees of the [sub]contractor resulting from either the condition to the premises or the manner in which the work is performed.’” Muhammad v. N.J. Transit, 176 N.J. 185, 199 (2003), quoting Wolczak v. Nat’l Electric Prod. Corp., 66 N.J. Super. 64 (App. Div. 1961). There are three exceptions where a landowner may be liable to an independent contractor for damages he/she sustains while performing work: “(a) where the landowner retains control of the manner and means of the doing of the work which is the subject of the contract; (b) where he engages an incompetent contractor; or (c) where the activity contracted for by the landowner is inherently dangerous or involves a peculiar risk of harm to others unless special precautions are taken.” Mavrikidis, supra at 151 (internal citations omitted). Pisieczko clarifies the applicability of the third exception to landowner immunity to independent contractors. In Pisieczko, the Plaintiff independent contractor was retained by CHOP to repair lights affixed to wooden poles in a parking lot. CHOP provided no guidance or supervision for Plaintiff’s work. Before ascending a ladder to fix the light, Plaintiff pushed on the pole to make sure it was sturdy. He then secured a ladder and climbed to the top of the pole. The pole, which was rotted within, broke, and Plaintiff fell and injured his heel. 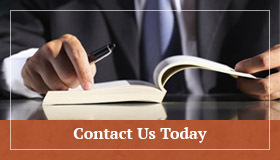 Plaintiff commenced a personal injury action against the landowner, CHOP, for damages he sustained. CHOP successfully moved for summary judgment. The Court found that the decision to place a ladder against the pole was incident to the work being performed because Plaintiff conducted an inspection of the pole and because the light Plaintiff was hired to fix was located at the top of the pole. On Appeal, Plaintiff argued that (1) the court failed to apply the first prong of the “hazard incident to work” exception of a landowner’s duty to independent contractors; (2) there were genuine issues of material fact in dispute as to whether the hazard of a rotten pole was incident to the electrical work Plaintiff was hired to do; and (3) Defendant had a duty to provide a reasonably safe workplace to Plaintiff because it failed to meet the “hazard incident to work” exception. The Appellate Division was unpersuaded by Plaintiff’s arguments and upheld the lower Court’s decision to grant summary judgment in favor of CHOP because it agreed that the risk of reaching the light at the top of the pole was incidental to fixing the light and the hazard was ascending the pole, not the rotten wood in the pole. Further, the Court found that the hazard of ascending the pole was an obvious risk because Plaintiff inspected it for structural integrity before he ascended it, and since Plaintiff chose the method to ascend the pole to fix the light without any input or supervision from CHOP. The Appellate Division’s ruling in Pisieczko represents another victory for landowner defendants in claims asserted by independent contractors injured while undertaking the very work they were hired to perform. Clearly, the factual scenarios in these types of cases are paramount in determining the likelihood of dispositive success; however, the Court’s decision in Pisieczko reaffirms its longstanding position on this issue. Specifically, the decision continues to make it difficult for independent contractors to successfully sustain actions against landowners who do not supervise the means and methods of the independent contractors’ work. Additionally, the Court continues to place greater responsibility on the independent contractors for dangerous scenarios that may arise incident to the work that they were hired to perform. In all, it remains clear in New Jersey that, so long as a landowners’ role in its independent contractors’ work is limited, liability for injuries it may sustain while performing its work should not exist.